Have you ever wondered who the people are behind our BA and MA programme? In the next six weeks, you will find out! We will be posting a range of portraits (one every week) of teachers and students of our bachelor Minorities & Multilingualism and our master Multilingualism. The portraits are made by Lindo Woudenberg (one of our BA students) and Sarah Berrada, who took the wonderful initiative for this project. 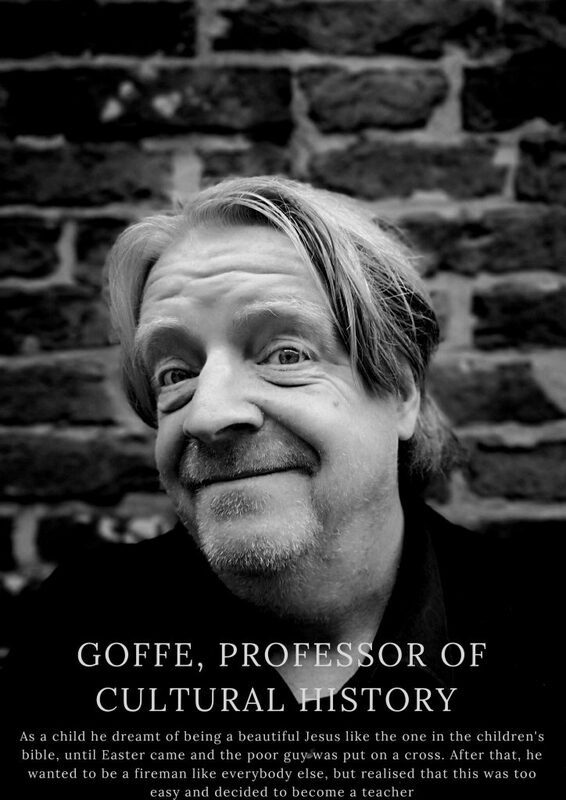 We are starting this series with none other than our Director of Studies: Goffe Jensma! P.S: Make sure to read the anecdote at the bottom of the photo! Newer Post dr. Nanna Hilton joins the Young Academy! Older Post Congratulations to our MA graduates!